Comm Link, Inc. completed installation of multiple training rooms audio visual & Polycom videoconferencing systems for Laureate, in Columbia, MD. 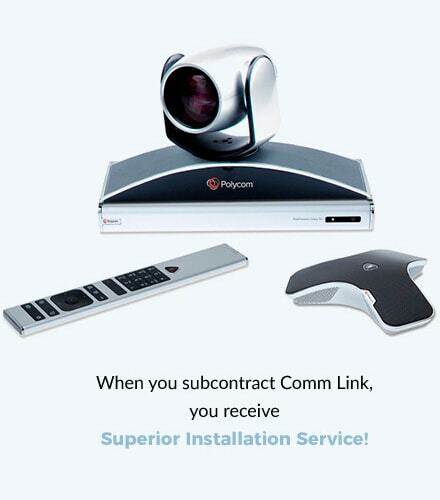 AV Video conferencing Installation consists of Polycom videoconferencing, Sound Structure DSP, &installation / programming of Crestron Control system, by CLI engineers, programmers, and installers. Comm Link, Inc was awarded the AV installation of a six room DaLite presentation with installation of ceiling mounted Dell Projectors for Neogov in California. 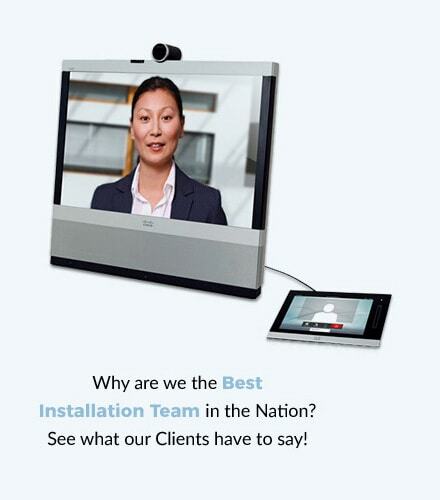 Comm Link, Inc. is the AV contractor and AV conferencing installer for Capital One, Inc. Install included Polycom Audio &Videoconferencing installation, Crestron programmed control panels, & various ceiling mounted projectors nationally in the United States. Comm Link, Inc.’s installation AV contractors provided Johnson & Johnson, NJ with AV installation for a multi room DaLite presentation, Crestron control, Polycom ceiling microphone & Soundstructure, & ClearOne audio/video integration. This entry was posted in News on April 14, 2013 by admin.